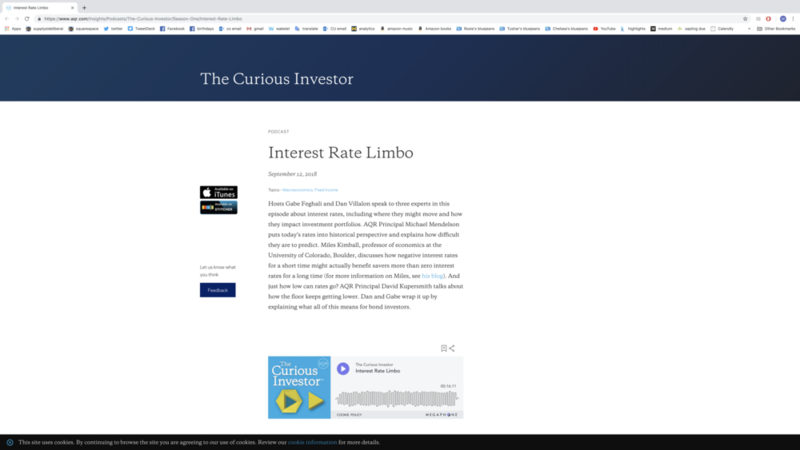 I was interviewed about negative interest rates for The Curious Investor podcast series. I thought you might be interested. The title of this post is a link to the podcast.